LMarkmanNewton a publié une photo le 11 avr. Cati F a publié une photo le 5 avr. Richard M a publié une photo le 1 avr. Attention to detail. Once the sun and moon? Lovely casita with a view. kdives a posé une question le 6 avr. Hello, We will be staying there in June. What is the cost of the horseback riding excursions and mountain biking? Can't find the price on the hotel website. What is the best and cheapest transportation from Urubamba trains Station to the Sol Y Luna - Relais & Cateaux? Dear Client, Our apologies for delay on response. 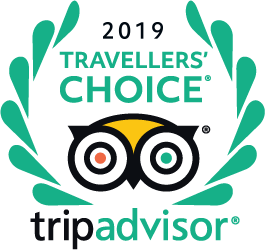 The best and most secure transportation from Ollantaytambo Train Station to Sol y Luna - Relais & Chateaux is the one that we can provide. Please, in your next visit, send us a message through our website. Best regards. Does the hotel have a blow dryer? Hi do you have facilities for guests to do there own laundry? Please apologize us for no answer at the time, Sol y Luna offers a Laundry service for an additional charge. "Petits bungalows - prioriser ceux vers le fond du jardin mais tous sont très bien situés"
"Je pense que toutes les chambres sont magnifiques, car unique et dans de petits bungalows, donc aucun bruit avec les voisins"